April means the beginning of the dread many Americans feel as Tax time approaches. April 15th has been the cut-off date for taxes since forever, which means we have to file by the middle of the month. If you haven’t prepared your 2010 taxes yet, your time is running out. 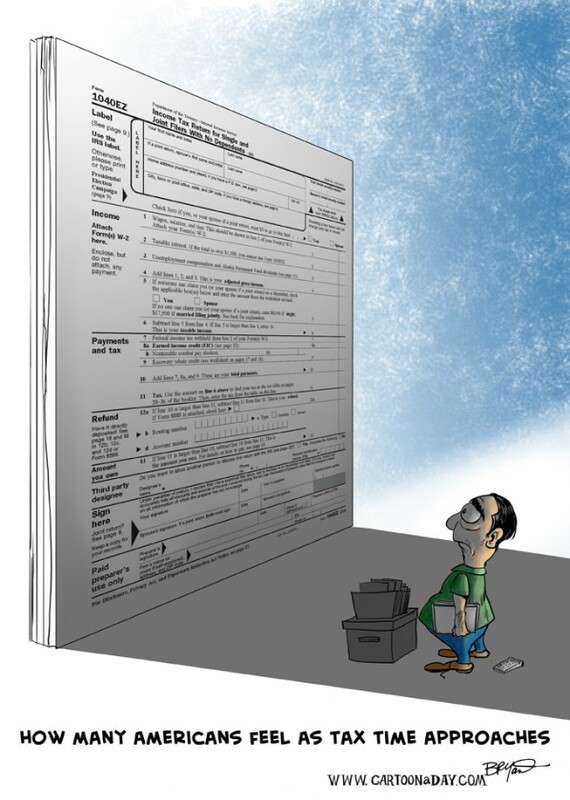 Inspiration: Funny cartoon about taxes and the scariness of filing 2010 Taxes. Featured is a giant 1040 ex tax form.